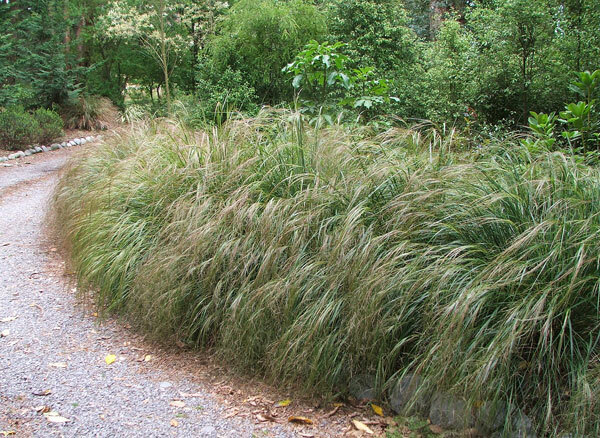 I treat these grasses as short-lived, and always have several specimens 'on the go' in different borders. 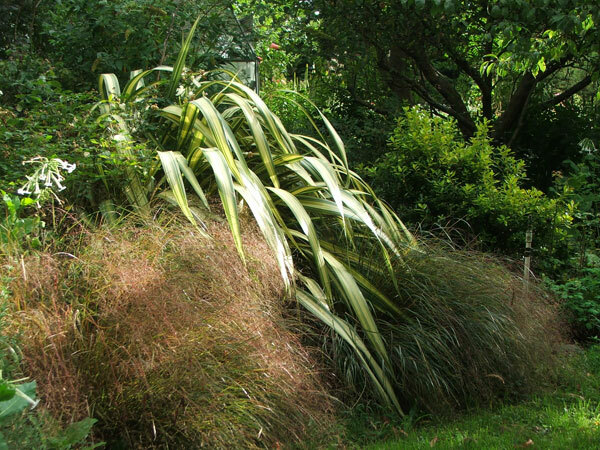 It's such a useful textural New Zealand native in garden design. And let me tell you - 'Anemanthele' is a rather interesting name to spell correctly! Anemanthele is modestly generous with its seedlings, too, which impresses me. I often scoop them up and have all sizes growing on in small pots behind the glass-house. The grasses themselves look beautiful for three or four years. Then it's usually time to dig out and replace. In late summer the seed-heads fluff out, and I clean up the grass by gently pulling them off. It's a strange feeling, like combing hair with your fingers and having it all fall out. I love this grass.